Brendan McGlone ’18 has just been selected as the Humanistic Study Fellow for the Paideia Institute in Rome to continue his post-Wesleyan education. Founded in 2010, the Paideia Institute is a non-profit educational organization that works to promote the study and recognition of classical humanities, particularly those of Latin and Ancient Greek languages and literature. 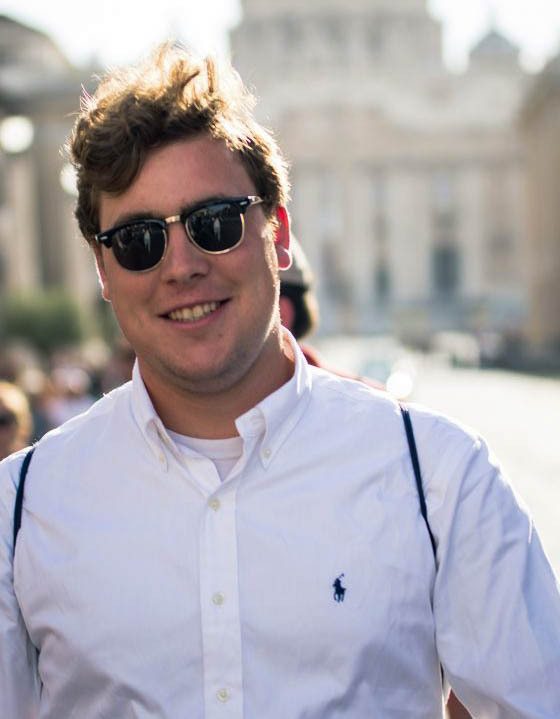 Their website touts the Rome Fellowship that McGlone has just been honored with as an opportunity for their alumni to continue studying in Italy for an entire year after graduating. McGlone had previously studied with the Institute as a high school student and returned as an intern for the summer of 2017. McGlone is a triple major in College of Letters, Classics, and Medieval Studies. He is currently finishing a senior thesis and is set to graduate in May. Right now he is enrolled in an intensive one-semester Italian course to help prepare for his fellowship duties. The fellowship will begin in September 2018 and conclude in August 2019. During the summer of 2019, McGlone will teach a three-week-long Latin class. It is modeled after one that he took at the Institute as an undergraduate but is instead geared towards high school students. The aforementioned class that McGlone took at the Institute was part of the Living Latin in Rome Program. However, McGlone’s love of Latin and ties to the Paideia Institute go farther back. McGlone also credited his passion for Latin and his plans next year to the inspiration and tutelage he received from Jane A. Seney Professor of Greek and Professor of Classics and Environmental Studies Andrew Szegedy-Maszak, and Robert Rich Professor of Latin, Emeritus Michael Roberts. According to McGlone, The Paideia Institute’s pedagogy promotes active speaking and writing of Latin—something that he admires about the Institute. McGlone cites the example of being told to go to a Spanish-speaking country if you want to learn Spanish. If you immerse yourself and speak a language for a few months, you tend to become fluent. Another aspect of McGlone’s love for Latin deals with his commitment to the Catholic faith. Latin is the language of the church. McGlone expressed excitement about receiving the fellowship and the prospect of living in Rome. When McGlone interned at the Institute last summer, he befriended a local deli owner. The two have kept up their friendship, and McGlone is looking forward to seeing him again. Szegedy-Maszak is also looking forward to seeing what McGlone will accomplish in the next year as a fellow.